Every bite is pure comfort food! 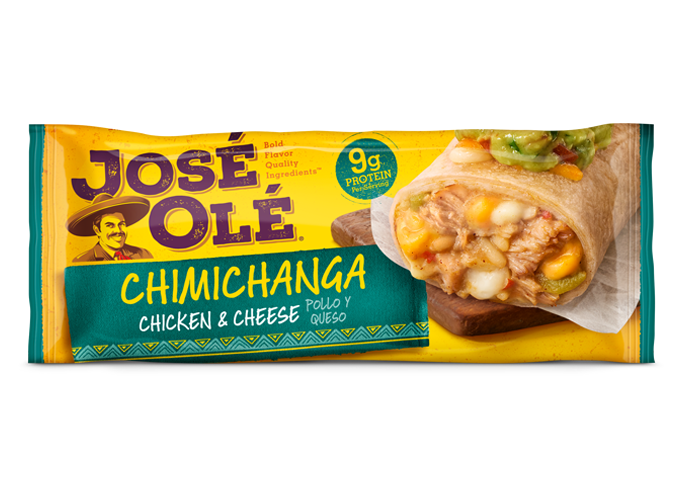 These Green Enchiladas are a snap to make with José Olé Loaded Beef Nacho Chimichangas. No one needs to know that you didn’t have to slave away in the kitchen to make them. They make every meal special and taste as good as made-from-scratch. Topped with a quick green salsa and shredded mozzarella cheese, these enchiladas are baked until deliciously cheesy for a dish that will make everyone’s taste buds very happy. 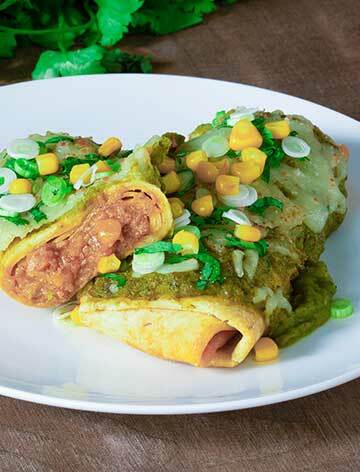 Follow the steps to prepare our Green Enchiladas. 1. In a large bowl, toss together green pepper, poblano, jalapeño, onion, oil, cumin and salt. Bake in 425°F oven for 12 to 15 minutes or until tender. 2. In a blender, purée roasted vegetables, lime juice, and half of the cilantro; set aside. 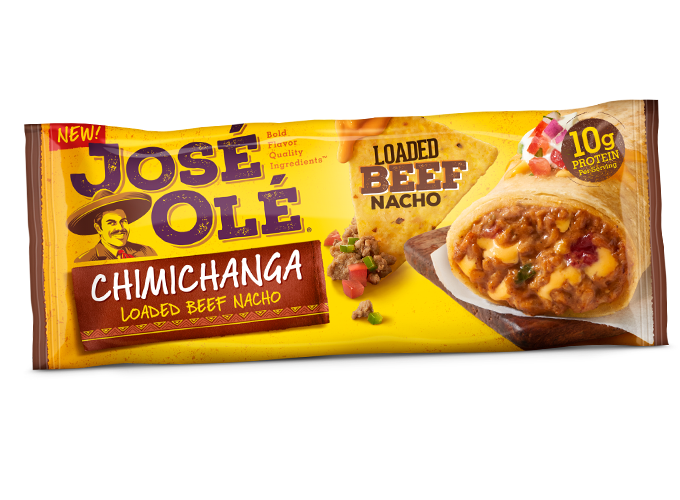 Arrange José Olé Loaded Beef Nacho Chimichangas close together on small parchment paper–lined a baking sheet or in a small greased baking dish. 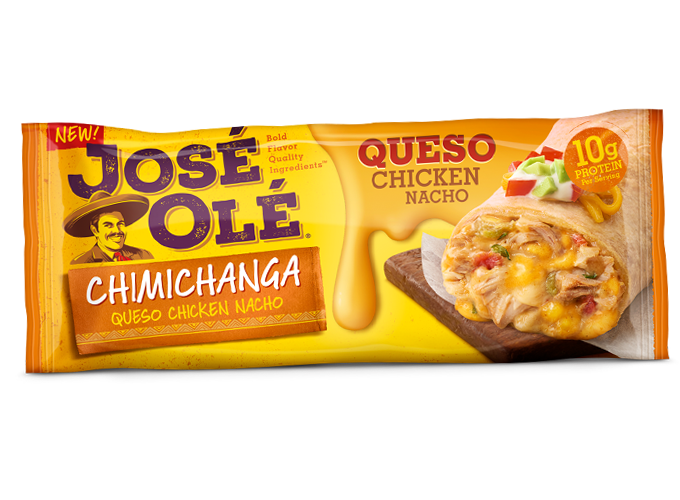 Sprinkle evenly with green salsa and cheese. 3. Reduce oven temperature to 350˚F; bake for 25 to 30 minutes or until heated through and cheese is melted. Sprinkle with green onions and remaining cilantro. – Top these easy-to-make Green Enchiladas with a red salsa instead of a green salsa if you like, just use your favorite prepared tomato salsa. – If you love cheese, feel free to add more.